nevard_100221_combwich_IMG_6337_web, originally uploaded by nevardmedia. 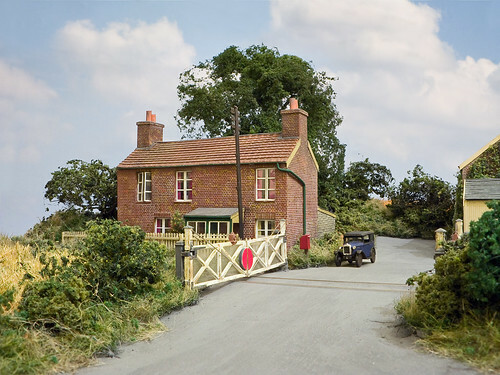 A quiet moment at Ankle Bend Crossing just outside Combwich in the summer of 1955. My recent house move has meant that the layouts are temporarily dismantled, the bonus of this is that it's given me a chance to get some snaps of some of the little scenes in the comfort of a warm house rather than the cold garage which previously housed Combwich. No Photoshop was used in the creation of this image, only for colour and contrast adjustment. An A1 sized photograph of clouds was placed behind this segment of the layout. 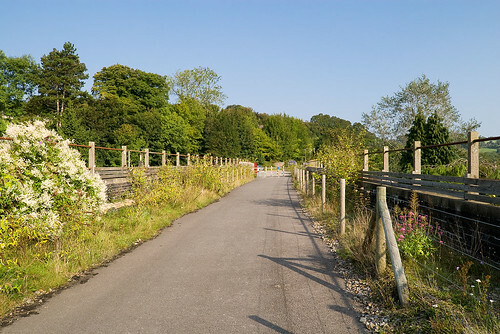 Bath (S&DJR) Two Tunnels Greenway - decision made! nevard_090918_midford_DSC_5797_web, originally uploaded by nevardmedia. Lenz Set 100 DCC, originally uploaded by nevardmedia. A very kind benefactor has kindly long-term-loaned me what I gather is a very good DCC system to mess about with in the form of a Lenz Set 100 DCC set up. 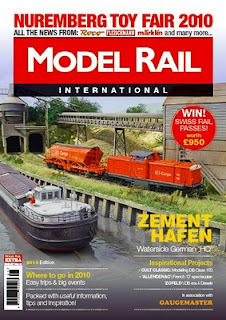 The plan therefore is to buy some chips for my modern diesel stock which is mainly DCC ready - the 'ready' bit is very important, because electical stuff really is not my forte. Luckily Cement Quay, bar a couple of sidings can all be 'turned on' which should allow a simple changeover. I will however make sure at the flick of a switch I'm able to convert back to DC - why, because occasionally I like to run a steam era scenario - many locomotives of which would be a nightmare to convert because they're so old. My wife the other day even said that she liked sound fitted locomotives - what a sweetie! At least when I save up some pennies I won't need to smuggle the offending 'noisy loco' into the house and only operate it when she it out! nevard_091231_gpo-austin-a30_DSC_6510_web, originally uploaded by nevardmedia. 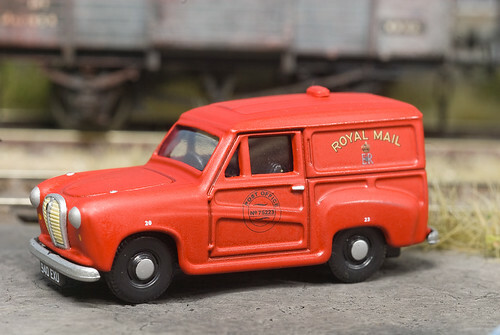 Here we have a 'Classix' EM76667 Austin A35 Van - Royal Mail (75223). This attractive little model has been enhanced with a coat of matt varnish to kill the toy like shine. It's debateable if any A35's ever carried this livery, but despite that, it makes a colourful model that contrasts nicely with what was frequently a dull austere era when cars where either painted black, grey, pale blue, cream or black. These inexpensive models I fear have knocked the white metal kit market off the shelf, for despite minor failings they're a fraction of the price of a kit, better detailed and ready to plonk. Please be kind, this model is far bigger on your screen than it is in real life - it's only around an inch and a bit long!